Rick and Kelly had a chance to sit down with Jerry Catania and hear how he got started in glass arts and what brought him to the Benton Harbor area. Right next to the Dwight Mitchell Park on Main Street in Benton Harbor you will often find the Baja Gringo Taco Truck. 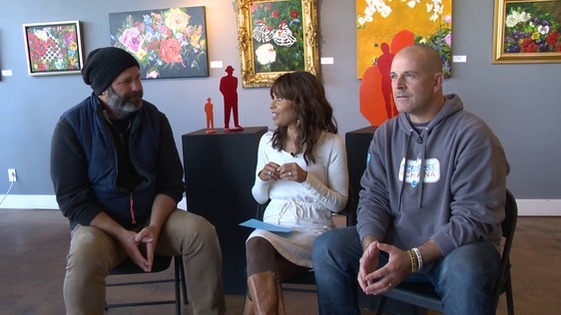 Rick and Kelly sat down with John Sauvé to find out about an exhibition featuring his work at the Secunda Art Museum at Cleary University in Howell, Michigan. Anna Russo Sieber is the owner of ARS Gallery, & Arts and Culture Center. Right next to the Dwight Mitchell Park on Main Street in Benton Harbor you will often find the Baja Gringo Taco Truck. Kelly and Rick grab lunch and get a chance to meet current owner Scott Gane and future owner Chef Audy. Find out about some changes to the truck next year. And the food is awesome! 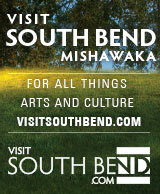 Anna Russo Sieber is the owner of ARS Gallery, & Arts and Culture Center. She shared with Kelly and Rick why she started the gallery and how she's using the Arts and Culture Center to impact the kids in the community.